Just got this Tektronix P6015 high voltage probe. It goes up to 40 kV! Well actually it only goes to 27 kV without the fluorocarbon 114 dielectric. Just in time for the next run. This is the same probe used in the Sydney experiment. Reader jsults turned my on to g3data… it’s a little open source program that helps extract data from graphs. I tried it with my oscilloscope photographs and it worked OK. But it does not compensate for trapezoidal distortions. If my camera were perfectly lined up with the oscilloscope g3data would work great. 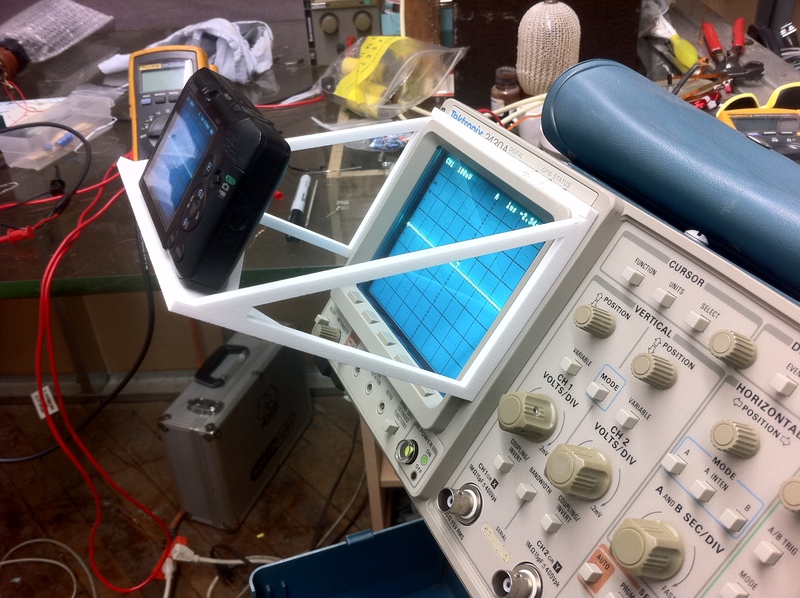 This got me to thinking… maybe I could build a camera holder for the oscilloscope? I designed this mount using sketchup and had it printed at shapeways. It came in the mail today. You can download at thingaverse or purchase at shapeways. 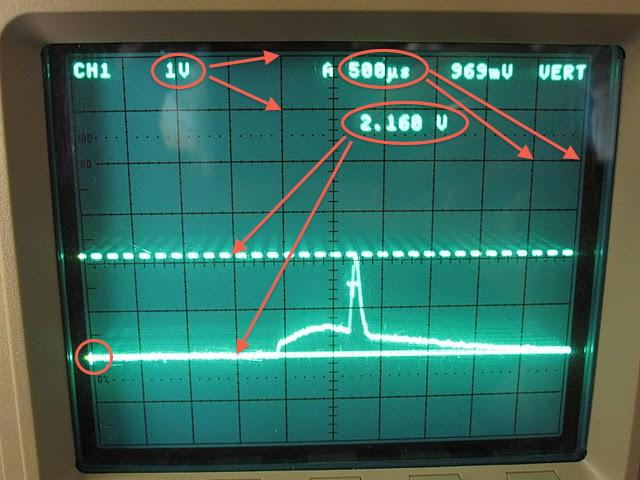 Here is a quick tutorial on how to read an oscilloscope. Voltage increases as you go up the screen. Time passes from left to right. The three numbers circled below are the keys. 1V means the distance between each gridline bottom to top represents 1 volt. 500µs means the distance between each gridline left to right represents 500 microseconds. 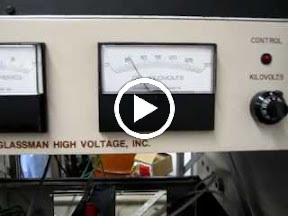 2.160V is the voltage between two lines I manually adjust. This is called a cursor. The small cross circled on the lower left indicates zero volts. Those are the basics of reading a ‘scope. I recently purchased a used Tektronix 2445 oscilloscope. It’s a 4 channel 150 MHz analog scope. I also purchased a Tektronix 2430 digital scope which is en route. The digital scope has the key advantage that it can capture and display a single frame from a trigger. The digital scope will show readings from the Langmuir probe in the Sydney experiment. It has taken me a few days of reading the manual and playing around with the scope to get a grasp. But I’m getting the hang of it, and wow… it’s a new way to explore the world! But neither DC power supply is as clean as the perfectly flat signal you get from a battery.